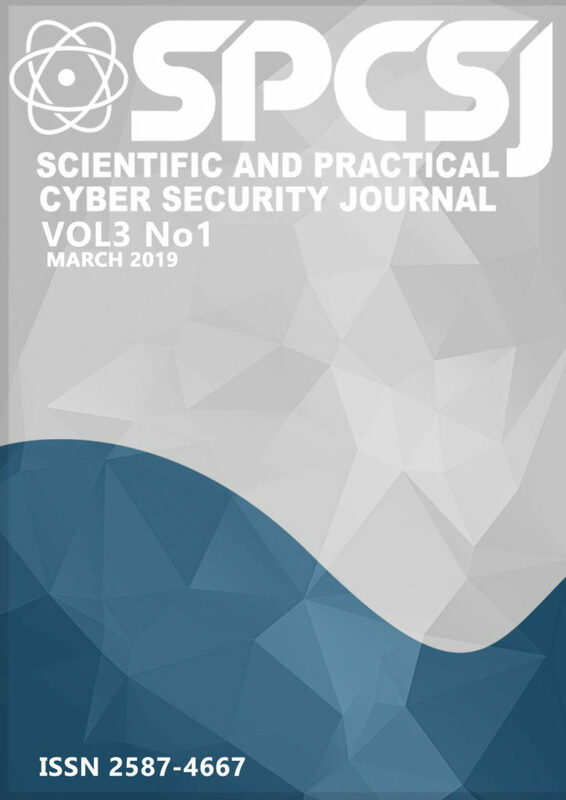 Scientific and practical cyber security journal (SPCSJ) is open access journal. Publication in SPCSJ is free of cost. We intend to post all papers approved by the editorial board within 4-6 weeks, which must contribute significantly to the subject anyway it is at our total attentiveness whether we distribute and time allotments can’t be ensured. The person using this website may view, reproduce or store copies of articles comprising the journal provided that the articles are used only for their non-commercial use. Any uses and/or copies of this Journal in whole or in part must include the customary bibliographic citation, including author attribution, date, article title, journal title, and URL and MUST include a copy of the copyright notice SPCSJ shall not be liable for any delay, downtime, or other failure of performance, but shall use reasonable efforts to correct any material performance problem brought to its attention.